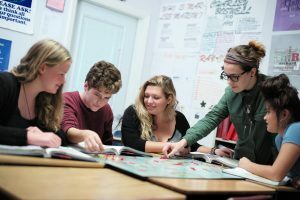 How Does Solstice East Help Teens Cope With Grief? At Solstice East, we believe that healing comes from a mind and body therapeutic approach. We view treatment in a holistic method, and aim to gain trust and build relationships with our patients. Teenagers who are dealing with grief can easily spiral down a destructive path. 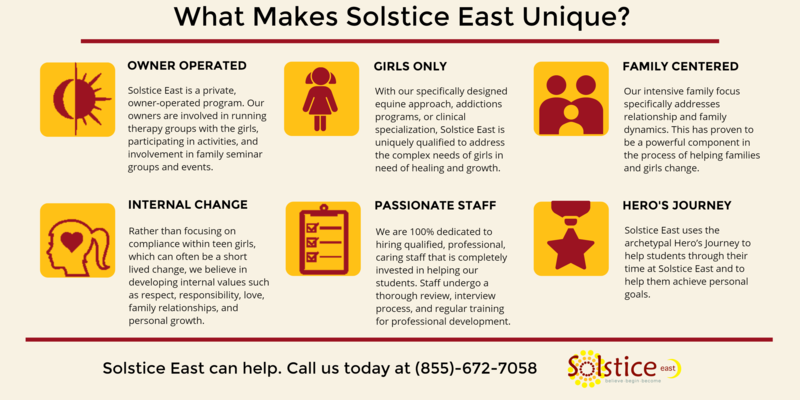 At Solstice East, we help teens struggling with grief who may lost opportunities, relationships, friendships, and loved ones. When grief runs free with an uncontrollable force, it can become an issue. Uncontrolled grief can turn into destructive and depressive behaviors. We have the opportunity to treat teenagers dealing with grief with a variety of therapeutic approaches. From group, to individual, equine therapy, and more, we will procure suitable therapy methods for your teenager. Our holistic approach also includes proper nutrition classes, physical fitness, and mindfulness meditation. 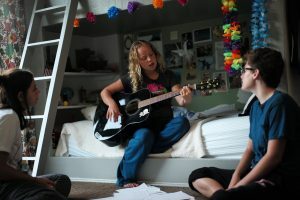 When mind and body are connected, it allows for the teenager to successfully heal and move forward in life. What are the Causes of Teenage Grief? Numerous types of loss and abandonment can cause teenage grief. However, the most common is the loss of a parent or close caretaker. The loss of a parent can cause teenagers to have traumatic affects long after the event takes place. Grief reactions abate over time for most children bereaved by sudden parental death; however, a subset show increased or prolonged grief reactions, which in turn increases the risk for functional impairment and depression. If an adolescent doesnât properly cope with grief, it leads to destructive and impairing results later in life. It is not only the death of a parent that causes grief in teenagers, it is also: death of a friend, death of a friend/relative by suicide, a violent death, multiple deaths, accidental death, death by chronic illness, and being a witness to a death. All of these types of loss can be damaging or disorienting. Individuals who have a history of difficult early relationships and lose a person with whom they had a deeply satisfying relationship seem to be at risk. There appears to be a correlation between prior stress, anxiety, and mood disorders that can greatly affect a teenager who experiences a traumatic event. Unequipped with the proper tools to manage with grief, the teenager will turn to destructive behaviors as a coping mechanism. At Solstice East, we offer a mix of mindfulness based cognitive therapy, journaling, psychiatric help, and other holistic methods of treatment. Building trust and a solid relationship is the first step in the healing process. Mindfulness based cognitive therapy allows a teen to become aware of their inner feelings, and outside surroundings. It gives them the ability to effectively work through issues instead of being bombarded and overwhelmed by them. Mindfulness permits the teenager to see and explore her feelings of grief, instead of avoiding her thoughts. We believe in taking gradual steps to improve and to help a teenager learn the proper tools to cope with grief. 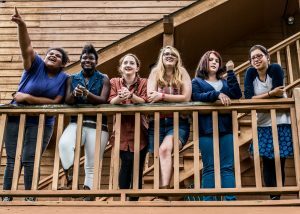 Why Should Parents Choose Residential Programming For Grief in Teens? Removes child’s current stressors, peer group, and temptations. Improves accuracy of assessment. Outpatient treatment relies on the child accurately recounting events, feelings, and behaviors sometimes days after, whereas at inpatient program assessment is in real-time.